Watch carefully; a $25,000 Tacoma can balloon to over $40,000 with a few options. We like the SR5 for its higher value proposition. A new TRD Pro package further cements the 2017 Toyota Tacoma's reputation as an off-road leader. The 2017 Toyota Tacoma is a mid-size pickup that has long been the most versatile in its segment—but the competition is beginning to stack up. For 2017, Toyota adds a new TRD Pro trim level to its perennially popular truck, which delivers more off road capability than ever before. Six trim levels now compose the model line: SR, SR5, TRD Sport and TRD Off-Road, Limited, and TRD Pro. Last year, the Tacoma was treated to a redesign. Although it may not have been a full clean-sheet start from scratch, it delivered exactly what the Tacoma's dedicated enthusiasts wanted. The new Tacoma gained a new cabin structure, new powertrains, a tuned suspension, and an improved feature set—plus cabin improvements that make these trucks significantly quieter inside. What Toyota didn't change is the Tacoma’s size and configuration; that’s all essentially the same as the 2015, which dated back more than a decade to the 2005 model year. While the Tacoma's exterior styling hasn’t changed much in profile, its hoodline has been propped upward slightly, and the more assertive, hex-pattern grille appears subbed in from the larger Tundra lineup. The truck's tailgate is more industrial with the Tacoma named stamped in—again, much like the Tundra. Inside, the cabin boasts a more horizontal dashboard layout with far more upscale materials and finishes than before. The Tacoma comes in Short Bed and Long Bed versions (roughly 5 and 6 feet), with Double Cab and Access Cab styles. Double Cab models pack in a full-size back seat and space for up to five, while Access Cabs have small fold-out seats that are probably more useful as cargo space. The standard cab versions of the Tacoma aren’t coming back. Under the hood, most Tacomas will make use of a 3.5-liter direct-injection V-6 that makes 278 horsepower and 265 pound-feet of torque mated to 6-speed manual or automatic transmissions. There’s still a base 4-cylinder version of the Tacoma, with a 2.7-liter inline-4 making 159 hp and 180 lb-ft of torque paired to automatic or manual 5-speed transmissions. Depending on the trim level and options, the Tacoma can tow up to 6,800 pounds or haul up to 1,620 pounds. That’s fully SAE rated according to the latest testing methodology, Toyota notes. That highest tow rating comes with a package that includes a heavy-duty oil and transmission cooler (with the automatic), a 130-amp alternator (manual models), and Trailer Sway Control. 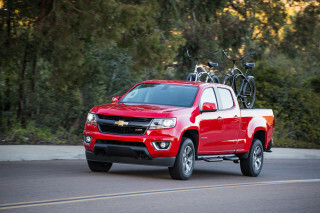 Off-road potential, however, remains the main attraction for a huge subset of Tacoma buyers. A new Multi-Terrain Select system cribbed from the Toyota 4Runner operates like similar systems from Ford and Land Rover. With it, modes for driving conditions from mud to sand to slick rock alter the Tacoma's throttle and braking to aid traction. The new Tacoma also adds an electronic limited-slip and locking rear differential, hill-start assist, and crawl control, which takes over the brakes and throttle from 1 to 5 mph in off-road driving, leaving the driver free to steer around obstacles. Combined with excellent sightlines and outward visibility, it’s a trooper off-road in a wide range of conditions. For 2017, a new TRD Pro tops the lineup with all-terrain tires, a lift kit, and thick skid plates, plus the existing TRD Off Road model's four-wheeling goodies. This pandering to such a defined, dedicated crowd might help explain why not much attention has been paid to the actual cabin amenities. There are some key cabin-comfort items missing from these trucks. You won’t find power seats—and the driver’s seat doesn’t even adjust for height or tilt. And there’s not a whole lot of head room with the available moonroof. But ride quality has indeed improved significantly, and this truck handles better than on the road than it has in past iterations. Touching on the Tacoma's longstanding rep as the go-to truck for outdoor sports, the Tacoma comes standard with a GoPro mount at the rearview mirror. Other features include a locking, damped tailgate; a four-panel folding tonneau cover; Qi wireless charging; leather seats; a moonroof; keyless ignition; and dual-zone automatic climate control. On the infotainment front, all models now get improved touchscreen audio, and most models are compatible with a new Scout smartphone-based navigation system. Both 4- and 6-cylinder models manage respectable fuel economy figures for its class; the volume V-6, automatic models come in at 17 mpg city, 23 highway, 21 combined. The Tacoma's blunt snout seems at odds with its rather ordinary side profile, but its interior looks and feels great for the class. Truck design evolves at a snail’s pace, and if you're familiar with Tacomas of the past, you'll be comfortable with the 2017. 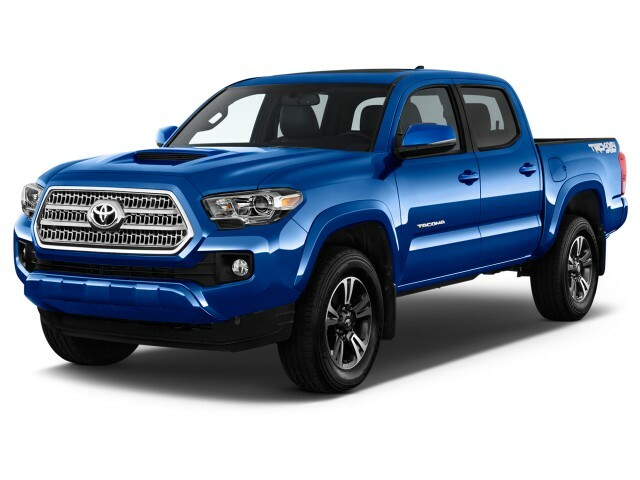 Redesigned last year with a more imposing front fascia and a higher hood line than before, the Tacoma is bolder than before—especially in TRD Off Road or TRD Pro guise. The latter is new for 2017 and combines a 1-inch suspension lift with black alloy wheels, LED driving lamps, and big brand badging across its grille. From the side, the look is if anything a bit more conservative, compared to the familiar 2015 Tacoma. That’s because these trucks have lost their distinctive (and some might say, polarizing) offset wheel wells with oversized fender flares, gaining a more proportional and refined look. Out back, the Tacoma's nameplate has been sculpted into the tailgate. A three-piece bumper with resin side covers and long-glass fiber reinforcement gives a somewhat different look in back, helping to save weight and allowing easy replacement in the event of a bump or to off road or on a job site. The Tacoma’s cabin is traditional in its layout, but it heaps on design details, with a more horizontal, shelf-like orientation like that used in Toyota’s recent cars. There’s less brightwork than in the previous Tacoma, and it’s been replaced with more attention to surfaces and textures, with each trim level offering distinctive, coordinated materials and surfacing. A strong V-6 and willing 6-speed transmissions combine with above average off road ability to make the Tacoma even better at what it has always done well. Behind the Tacoma's blocky front fascia sits a new 3.5-liter V-6 that was new for 2016 and carries over unchanged into 2017. 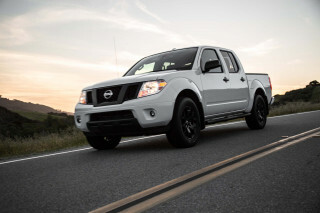 It's the most popular of the two engines offered in this truck, and it's easy to see why. The V-6 is almost as fuel efficient as the 4-cylinder, but it delivers muscle to spare and far more refinement. With both direct injection and a variable intake system with a wide intake, the V-6 meets the more efficient Atkinson combustion cycle. It makes 278 horsepower and 265 pound-feet of torque. This happy-revving engine mates well to both the 6-speed manual and 6-speed automatic transmissions. 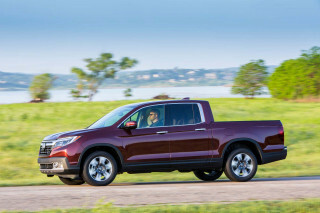 While the automatic will certainly be the more popular gearbox, with its nicely damped upshifts and downshifts and terrific gear spacing, the manual is a relative rarity; neither GM sibling nor the Honda Ridgeline is offered with a V-6 and a manual. At the base level, the Tacoma is powered by a 2.7-liter inline-4 that makes 159 hp and 180 lb-ft. It cannot be paired with a manual transmission and rear-wheel drive, but a 5-speed manual is offered with four-wheel drive, and all other 4-cylinder models (rear- or four-wheel drive) now have a 5-speed automatic transmission. We haven’t yet driven a Tacoma with the inline-4, but a short drive of one from one in recent model years revealed it to be responsive enough, provided you aren’t hauling much of a load or wishing for high-speed passing power. The Tacoma rides on a steel ladder frame (closed on front, open in back) with a new high-strength cabin structure that adds additional side beams as well as more high-strength steel. It rides on coil springs and double wishbones in front, with. In general, spring rates (and shocks in back) have been tweaked for a softer ride, yet rebound damping and optimized shock valving help increase control. There are essentially four tunes of the Tacoma’s suspension. The SR, SR5, and Limited models have the standard suspension, while TRD Sport models get a more road-oriented sport suspension and TRD Off Road models get a suspension that’s oriented toward wheel articulation and off-road control. The new-for-2017 TRD Pro sits about an inch higher than the Off Road and it sits on special Fox shock absorbers designed to soak up just about anything you can throw at it. A TRD cat-back exhaust system adds a little more rumble, too. At more than $41,000, the Tacoma TRD Pro isn't inexpensive, but recreating this kind of suspension on the aftermarket would boost that price by thousands more. If off-road ability is the performance priority, you really can’t do any better than the Tacoma. It handles especially well on trails and in off-road situations, where the sightlines and outward visibility are quite easy; meanwhile the traction and stability systems have the subtlety that’s needed for a wide range of traction needs. TRD Off Road and TRD Pro models with the automatic transmission also include Multi-Terrain Select, which lets the driver dial in (via a rotating switch at the top of the windshield) different settings for Mud and Sand, Loose Rock, Moguls, Rock & Dirt, and Rock. For each of those, the traction control system is operated in a way that helps provide the best traction (allowing lots of slip and wheelspin for Mud and Sand, for example, but none for Rock). There’s also Crawl Control, a feature that lets the driver maintain a constant, very low speed to maintain grip and control. It controls grip, braking, and power distribution at each wheel, going up or down, while the driver can focus on steering—provided they don’t touch the accelerator or brake to override the system. Off-Road models also include a clutch-start cancel mode (manual transmission) that can help with some delicate off-road situations. The TRD Pro adds not only the aforementioned suspension upgrades but also 16-inch alloy wheels wrapped in meaty Goodyear Wrangler all-terrain tires with Kevlar sidewall reinforcement. Though the TRD Pro's wheels are smaller, they allow for more tire sidewall for off-road use. And for when rocks get in the Tacoma's way, thick skid plates come standard as well. Four-wheel drive is optional on all but the TRD Pro, where it is standard. Toyota's transfer case system is easy to use at the twist of a dashboard knob, but it is not meant for use on dry surfaces. TRD Sport models include an automatic limited slip rear differential, while Off Road and Pro models go a step further with a locking rear differential. A low roof and a high floor combine to give the Tacoma an awkward driving position, but its interior is otherwise above average. While trucks have indeed evolved in seating comfort and driving position, it seems that the Toyota Tacoma hasn’t, and that’s its most significant barrier for comfort. The Tacoma's front seats are short and flat and they don't offer much adjustment. Across the lineup, the seats are springy, foam-core affairs that put too much pressure on sit bones without supporting thighs. Back support is much the same. Even in the top Limited model, which adds nice leather, not even the driver’s seat adjusts for tilt or height. These seem like major gaffes when even partial power adjustment is standard on the Canyon and Colorado. But not all is bad; the Tacoma is full of excellent details. All models have an acoustic glass windshield, while the cabin itself boasts substantial sound deadening, which contributes to a feel of refinement. 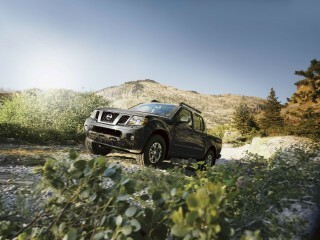 The truck's tailgate utilizes a rotary damper for a soft, controlled release when you’re opening it. There’s also a deck-rail system (with movable cleats) to provide tie-down points for small yet heavy pieces of cargo, while there’s a 120-volt deck-mounted AC power outlet on certain trim levels. Tacoma buyers have a choice between two cabin styles: Access Cab and Double Cab. While Access Cab models are essentially two-seaters with two very small fold-up rear seats (a place to stow groceries and gear, really, when you’re not trying to wedge the kids back there), the Double Cab models are the ones that most multi-use family owners are likely to find more versatile and valuable. Those include a full-size back seat that can in theory fit up to three. It’s also split 60/40 and has both adjustable headrests and under-seat storage. In terms of what’s behind the cab, the Tacoma also continues pretty much unchanged. 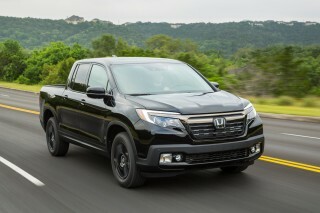 There are Short Bed (60.5-inch, or 5-foot) and Long Bed (73.7-inch, or 6-foot) versions of the Double Cab, while Access Cab versions are only offered with the Short Bed. Bed depth is 19.1 inches for all versions, while tailgate-limited bed depth shortens from 53.4 inches to 41.5 inches between the wheel wells. Not all crash tests are in, but the 2017 Tacoma has performed well in tests so far. We don't have all the data we need to properly rate the 2017 Toyota Tacoma for its safety, but signs so far are mostly positive. On the other hand, like its rivals, the Tacoma comes up short on driver assist systems; simply put, none of the adaptive cruise control, forward-collision warning, and automatic emergency braking features that Toyota has made standard on most of its passenger cars are even available as an option on the Tacoma. That's par for the class, but still disappointing. We’re waiting to assign a full score until full safety results are out, however. The IIHS has only rated the Tacoma in moderate front overlap and side impact crashes, where it scores "Good" in both categories. The federal government, meanwhile, has only comprehensively tested the crew-cab Tacoma, and it gives the truck four stars overall—four stars for frontal impact, five for side, and four for rollover. All Tacoma models include 4-wheel anti-lock brakes with brake assist and electronic brake force distribution. Traction and stability control are federally mandated and are of course standard. Eight standard airbags including knee airbags for each front seat occupant and active headrests designed to reduce whiplash are standard as well. 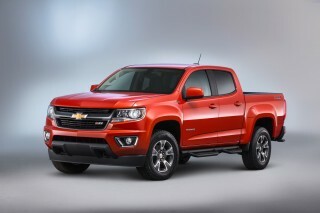 Opt for the towing package on V-6 models and you'll gain trailer sway control, as well. Limited models include a rear parking assist (sonar) system that’s also optional on all but the base SR. A blind-spot monitor with rear cross-traffic alert uses rear radar sensors and is also included in the Limited and optional in the TRD models. The cross-traffic alert system operates when the vehicle is being reversed at up to 15 mph and will warn of vehicles moving 5 to 18 mph. All versions of the Toyota Tacoma include ventilated front disc brakes and rear drum brakes with a tandem booster. Toyota says that the rear drum brakes, as they’re used in an off-road intensive pickup, are a safety asset as they’ll still function at their prime after exposure to grit and grime. Although it doesn't offer a diesel or an ultra high-luxe version, the Tacoma is still available with a dizzying array of features. 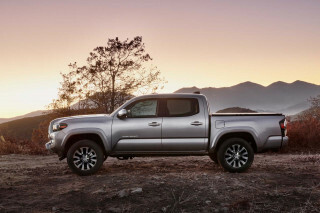 While the days of endless a la carte options are long gone, the Toyota Tacoma offers a huge degree of customizability. As it has always been with the Tacoma, you’ll find plenty of features that help increase the utility, off-road ability, and general usefulness of your truck. What the Tacoma’s redesign last year added was a suite of technology features and options, ranging from active safety items like cross-traffic alert to wireless charging and integrated apps. But some key comfort features don't make the list, even on the range-topping Limited. Six Tacoma flavors are on offer: SR, SR5, TRD Sport, TRD Off Road, Limited, and TRD Pro. Base SR models don’t entirely skimp on the equipment; they include items like intermittent wipers, sliding rear glass, air conditioning, a tilt/telescopically adjustable steering wheel, and power windows. The SR5 adds Bluetooth hands-free calling and streaming audio, variable intermittent wipers, and a 4.2-inch multi-information display, while the TRD Sport offers a long list of extras including standard Qi wireless charging (via an inductive pad and the proper accessory for your phone), a smart key system, a 120V AC plug on the cargo deck, and keyless ignition. Think of the TRD Sport model as all show and some go. It's more stylish than the SR5, but it doesn't include Toyota's trick Multi-Terrain Select and Crawl Control like the TRD Off Road and the TRD Pro. The new TRD Pro model goes even further with Fox shocks, a 1-inch lifted suspension, all-terrain tires, and beefier skid plates. For the way most off-roaders actually use their pickups, the TRD Pro is hard to beat. Limited models go in a different direction and earn a standard power moonroof, heated leather seats, and a HomeLink universal garage-door opener. On the infotainment front, even Tacoma SR models come with an impressive audio system: a 6.1-inch touchscreen, six speakers, voice recognition, Siri Eyes Free compatibility, a rearview camera, USB, Bluetooth streaming and hands-free connectivity, and an auxiliary audio jack. The SR5 steps up to a "Plus" system with high-resolution display, SiriusXM radio, HD traffic and weather, and navigation app compatibility. TRD Sport, TRD Off Road, Limited, and TRD Pro models include a 7.0-inch touchscreen that's available with navigation. Both multimedia systems are packed with a suite of apps including Slacker Radio, Bing, iHeartRadio, and Pandora, as well as things like Yelp and Facebook Places. Options range the gamut and depend, to a certain extent, on body, drive wheel, engine, and transmission configurations. The top two trim levels—Limited and TRD Pro—are only available with a double cab and a short bed. Opt for any other Tacoma and you can also order an extended cab, which offers less rear seat room, and a longer bed. The TRD Pro is the only model available exclusively with 4-wheel drive; other models (even the TRD Off Road) come standard with rear-wheel drive and offer the ability to send power to each corner as an option. One thing to note is that the Tacoma's four-wheel-drive system is not meant for use on dry pavement as it has no automatic mode. The Tacoma comes in dead average in the mid-size truck segment for its fuel efficiency. The addition of a new 3.5-liter V-6 to the Tacoma lineup last year gave this Toyota truck better fuel economy than ever before—and the V-6's figures have made the base 4-cylinder a tough sell. Opt for the manual gearbox and that figure drops substantially—to 17/20/18. The rear-wheel drive automatic Tacoma with the V-6 is rated at 19/24/21 mpg. The 4-cylinder model, on the other hand, comes in at 19/23/21 with the automatic transmission and rear-wheel drive. The 4-cylinder simply has to work harder than the V-6 to motivate the Tacoma, which helps explain its increased fuel consumption. Additionally, the V-6 features variable valve timing for both intake and exhaust valves, plus a delayed intake-valve timing that gives it a cleaner-burning Atkinson cycle. 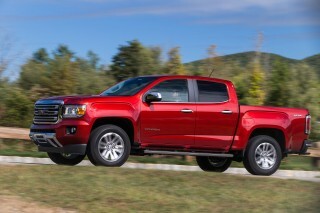 One thing the Tacoma lacks is a turbodiesel engine like the GMC Canyon and Chevrolet Colorado. That said, the turbodiesel is a nearly $4,000 option on the GM twins, making it a tough sell to frugal consumers. Think hard before you buy this truck! This truck has been great since day one. It handles well, especially off road on the beach. One con against the truck is it is sluggish at low RPMs. However, with that said, the Tacoma gets good fuel economy... This truck has been great since day one. It handles well, especially off road on the beach. 2016/2017 Tacomas shift erratically I traded mine in after 5 months couldn't stand it. Truck gets an A minus (so far).